So I'm really liking this book. So far so good. Chapter three talks about "Who can become a Scryer". 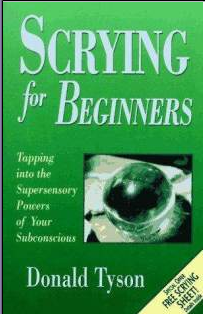 Apparently this author feels that everyone has the potential to be a scryer. He says, it's no different than a star basketball player. That player is born with the potential to be a great player, however without daily practice and dedication to his craft, his potential will go unrealized. There is the thought that if you're able to be hypnotized you're able to be be scryer. It is thought that the act of being hypnotized is more of the subject hypnotizing themselves as apposed to the hypnotist actually preforming the act. This is extremely interesting to me because I have always longed to be hypnotized. I'm not sure I can be, and have never tried. The author goes further to say that if you're a person who has seen visions or had flashes of the past, present or future appear to you, must like one of my followers commented on my last post; that you too can more than likely be a scryer. Having several "visions" over a lifetime instead of just a couple when a family member is in danger will make one more successful as a scryer. That's not to say that with only a couple of visions you cannot do this. Much like that previous comment I mentioned before, apparently children below 10 years of age have the perfect mind for scrying. In fact the author says that many magicians and performers in years past would employ adolescent boys to gaze into the crystals and much like a hypnotist the performer would direct the child to look for a particular thing, thus producing the visions for him/her. Even though some of the more famous seers were male, this books says that the majority of scryers are female. Chapter four is about preparation. Getting ready to scry. I found it interesting that this author adds a prayer from the bible as the first way to "cleanse" yourself before beginning a session. Quickly on the next page however he states that if it seems too Christian for magical work you can use any number of Pagan or Wiccan prayers/blessings/cleansing to prepare. A ritual bath, a pair of loose fitting comfortable pants and a nice loose shirt seem to be the costume of choice to get into the right frame of mind for scrying. Tight shirts, or itchy skin will break your concentration and you won't be able to devote the entire time to scrying. The author recommends setting up a special place, where your tools will be available for you to access, you can sit comfortably and you can be alone. 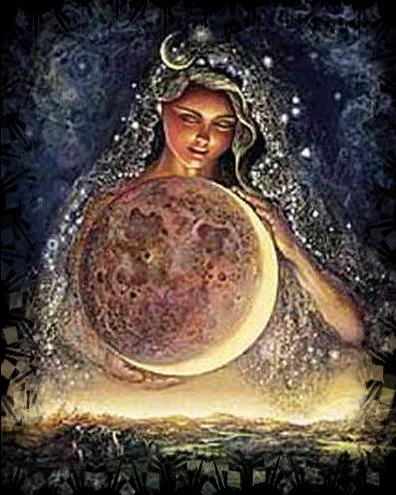 Night time is suggested as the best time to scry as the night air lends itself to relaxation and as we already expect, night is when many witches cast their circles. He goes on to suggest not to wait too late in the evening as this heighten state of relaxation might lend one to drift off to sleep which is not good for scrying at all. So Chapter Five is next. It's about finding a place to scry. I've been thinking about the tools I want to try and I think that I might collect a number of different bowls, mirrors and crystals just to see what speaks to me. I'd like to be able to try all the different exercises in the book with a different tool combination to see if I get any different results. I'm extremely excited about this and can't wait to see if I can truly "See".